Update: congrats to Dana for winning this giveaway. 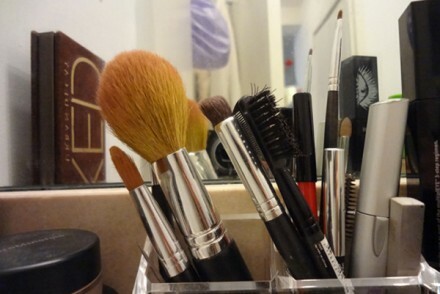 One of the perks of being a blogger is that you get exposure to all sorts of beauty products. Some of them are made with ingredients that I use every day and very familiar with, like coconut oil. Others from ingredients that makes me scratch my head and go: uh what? 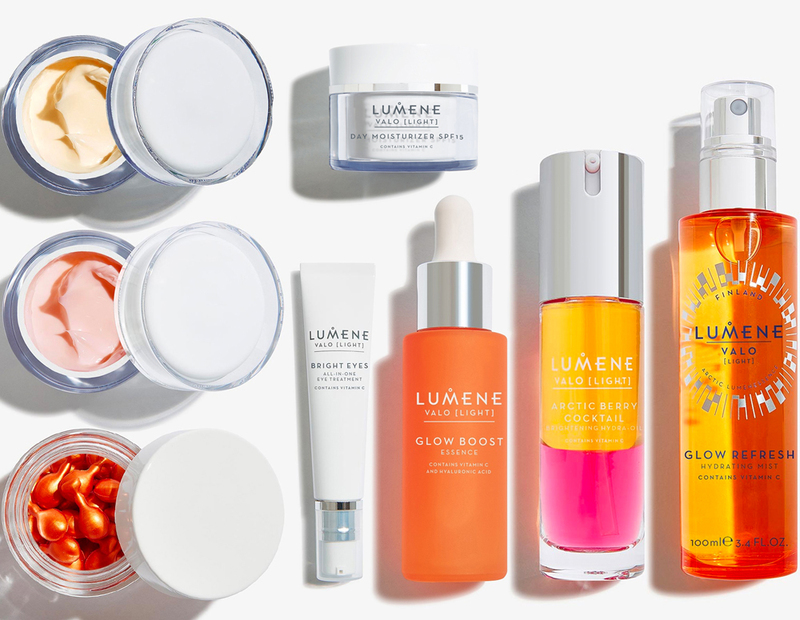 I bet most of you probably have never heard of couldberry, which is the main ingredient of the Lumene VALO collection. Read on to find out what is it exactly and how it benefits your skin. Cloudberry, or Rubus Chamaemorus, is a wild berry that grows in the northern parts of the world. This super-fruit make for a great skincare ingredient because they have such a high concentration of vitamin C, and also contains other beneficial ingredients such as vitamin A, B, E and other fatty acids. Vitamin C is awesome for your skin as it is an important ingredient in the body’s production of collagen, and not to mention a potent antioxidant that helps revive and brighten skin’s appearance. Now on to the fun bit: the giveaway! One lucky winner will receive the ENTIRE Lumene VALO collection mentioned above. Sweepstakes begins Monday, August 21, 2017, at 12:00 a.m. EST, and closes on Tuesday, September 5, 2017, at 12:00 a.m. EST. Giveaway Friday: It’s a ChicPeek Bling Party! Oh my gahd!! The Glow Boost, Glow Refresh and the Brightening Hydra Oil!!!!! I’m most excited to try Bright eyes. I need it BAD! I’m excited to try the Bright Eyes All-in-One Eye Treatment. Bright Eyes All-in-One for sure! I would love to try the Lumene Valo Overnight Bright Sleeping Cream. The Overnight Bright Sleeping Cream sounds wonderful. Vitamin C is such an effective ingredient. i am really excited about the all in one eye treatment. I really want to try the Glow Refresh Hydrating Mist! I really would love to try the eye cream!! I am already using the Arctic Berry Cocktail Brightening Hydra-oil and I am absolutely loving it. After using that I really want to try the rest of their products. But, if I just had to pick one to try next it would be the Overnight Bright Sleeping cream. I’d love to try the serum c with hylauronic. The Glow Refresh Hydrating Mist sounds lovely! I’d love to try the Glow Refresh Hydrating Mist! I love that you explained the ingredients. I feel like so many ppl don’t realize what they’re using! Lumene Valo Bright Eyes All-in-One Eye Treatment sounds great. I’m excited to try the beauty drops! I’m most excited about trying the Bright Eyes All-in-One Eye Treatment. I really want to try the eye treatment. I have always had dark circles and tired looking eyes and hope this product can help them look healthier. I would love to try the mist! I would love to try all of the products but love the Glow Reveal Moisturizer the most. I’m excited to try the Glow Refreshing Mist. I want to try the Bright Eyes All-in-One Eye Treatment . I want to try the Beauty Drops. They all sound great. The vitamin C mist seems great! I am most excited about the Valo Beauty Drops. Thanks for this chance. All in one eye treatment. The Beauty Drops are most exciting because it will keep me from putting on too much product. I would be thrilled to try all of these products. I think I would be most excited to try the Valo Vitamin C Glow Boost Essence with Hyaluronic Acid. Thanks so much. Glow boost essence is the product I would love to try…. Overnight Bright Sleeping Cream sounds amazing to use. I would love to try the Lumene Valo Bright Eyes All-in-One Eye Treatment. Overnight Bright Sleeping Cream would be my item of choice! I’d love to try the Lumene Valo Arctic Berry Cocktail Brightening Hydra Oil. I’d like to try the Lumene Valo Bright Eyes All-in-One Eye Treatment! It’s need badly in this sleepless household! I am most interested in the Lumene Valo Overnight Bright Sleeping Cream. It has great reviews online. I am most excited to try the moisturizer. My skin tends to be dry. Want to try Glow Boost Essence most! I want to try Lumene Valo Bright Eyes All-in-One Eye Treatment. I am excited to try the bright eyes!